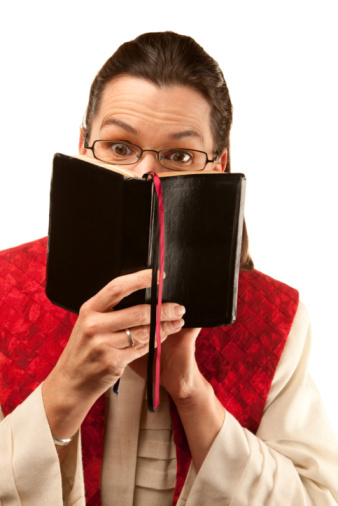 Will the CBF Really Pay Churches to Consider a Woman as Pastor? It must have seemed like a good idea at the time. Associated Baptist Press reports that a state Cooperative Baptist Fellowship is now offering financial incentives in order to encourage pulpit search committees to consider women candidates. The motivation for the concept is clear — those who are offering these incentives are frustrated that few churches are calling women as senior pastors. According to the ABP report, the idea to offer financial incentives came out of a meeting in which several other ideas were also offered. This is the idea that made headlines. Never before have so many Baptist women officially served as pastors and co-pastors, and yet statistically the great majority of Baptist churches affiliated with the Alliance, BGAV, BGCT, and CBF have not called women to serve as pastor. Even within the ranks of the Cooperative Baptist Fellowship, where the leadership sincerely supports women as senior pastors, their churches are still very unlikely to call a woman as pastor. There are a few highly visible women who do serve in senior pastor positions, but they are rare exceptions to the general rule. My point is not to accuse the Cooperative Baptist Fellowship or its leadership of hypocrisy, for there is no reason to question the sincerity of their beliefs. I believe that their convictions are wrong, not that their stance is insincere. Indeed, their frustration at the slow pace of change in this regard seems authentic — thus this new policy in Missouri. And yet, the policy does seem clumsy, at best. Paying search committees to consider women as top candidates? That is awkward enough. But, paying them to treat a woman “as a top candidate even if she isn’t actually one of the top candidates”? That seems absolutely desperate, and one can only wonder if women seeking pastorates would consider this a step forward. Kathy Pickett, moderator-elect of the Missouri CBF and pastor of congregational life at Holmeswood Baptist Church in Kansas City, voiced her own concerns that women might be harmed by the proposal. She was especially concerned about young women graduating from seminaries, who might be misled by the policy. “There is a hopefulness that something is going to change when it likely isn’t going to,” she said. The Missouri proposal, though hard to believe at first glance, is also deeply revealing. Those who believe that women should be senior pastors believe that the slow progress toward the acceptance of female pastors is rooted in enduring prejudice against women. Those of us who believe that the Bible precludes women from serving as pastors, on the other hand, believe that this pattern reveals the endurance of a biblical instinct, even among those who believe, at some level, that women should be pastors. The theological distance between the Cooperative Baptist Fellowship and the Southern Baptist Convention continues to grow. This development out of Missouri makes that point in an unmistakable way. It will not be the last development to do so. Vicki Brown, “CBFMO Offers Incentive for Churches to Consider Women as Pastors,” Associated Baptist Press, Tuesday, September 27, 2011.